More Classic Army SCAR information yet another Arnies exclusive! 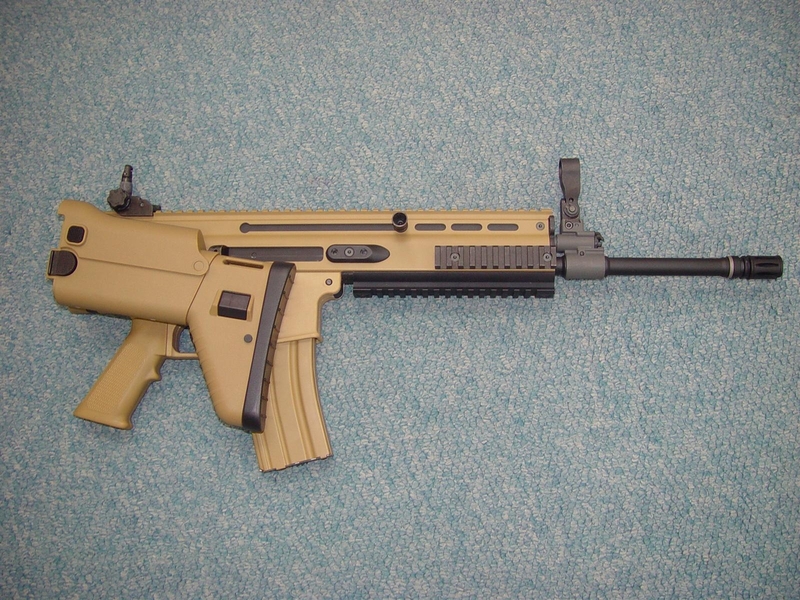 More news in from Sergio, (Visele.it) regarding the new Classic Army SCAR. Looks like this one is going to be a winner! Also Classic Army are at the Shot Show in FL. USA so anyone going to the show will probably get to see this one first hand. 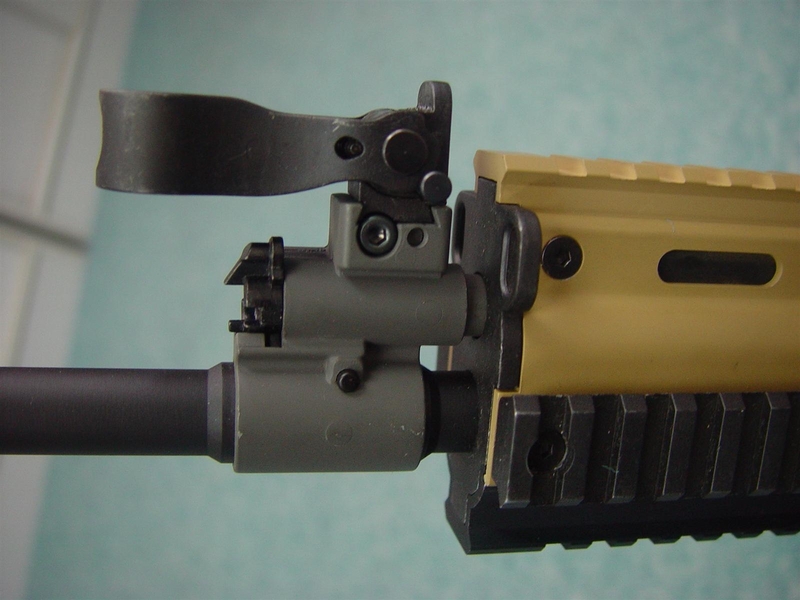 Here are some more details about the Classic Army’s SCAR that have not been disclosed to public yet. If you’re like me and think that the MadBull Black Python Barrels couldn’t get any better, then you’re wrong! Madbull have just announced the new version 2 Black Python. Check them out! From Jan 1st, all barrels will be replaced by the Ver 2. We guarantee that all barrels are HAND SELECTED and using double packaging, new molding, new machine and new chemical coating. Thanks for your support in 2006. New Cavalvy TOTO II Tactical Headset (2006-12-29): An exclusive scoop on a fresh new product from a company called Cavalvy. Although it may not be a household name, they are sure to gain recognition from their latest product ? 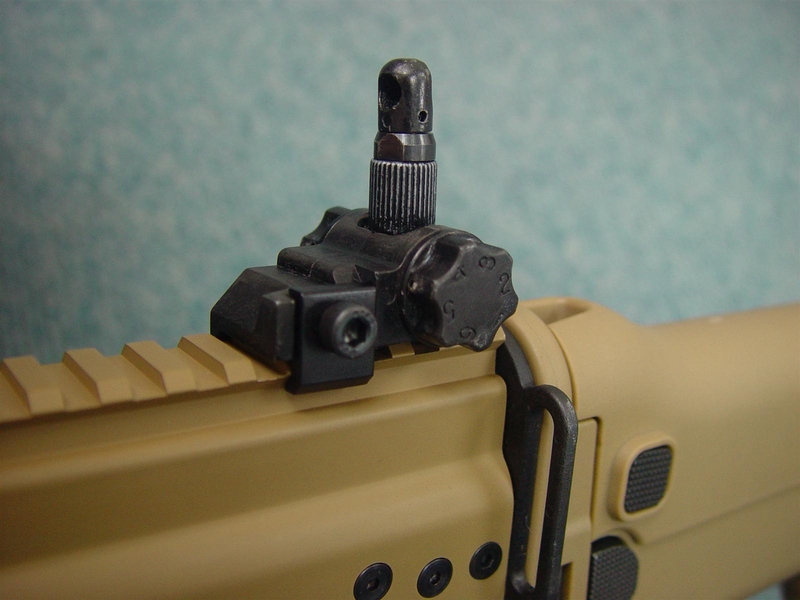 the TOTO II Tactical Headset. It is a close replica of the SELEX Personal Role Radio (PRR) as used by the British Army and NATO Forces. At first glance you could be forgiven for mistaking this for the real thing. Even on closer inspection, the quality and features closely resemble that of the real one. The headset is characterized by a low-profile – the slim shape makes it easy to be worn with other types of head wear such as ear protectors or helmets. 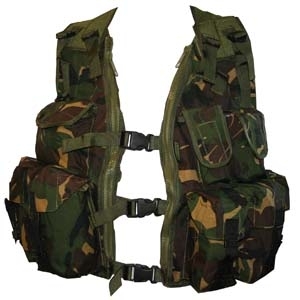 It features three adjustable suspension straps which allow for a close and comfortable fit. The size is fully adjustable to cater for all sizes, and in testing proves to be comfortable without being restraining. The vented ear cup design enables peripheral hearing or talk-through audio from electronic hearing protection. A flexible microphone is mounted low and can be adjusted into a variety of positions, connected to the headset is the flexible wire, which has a push-to-talk button. 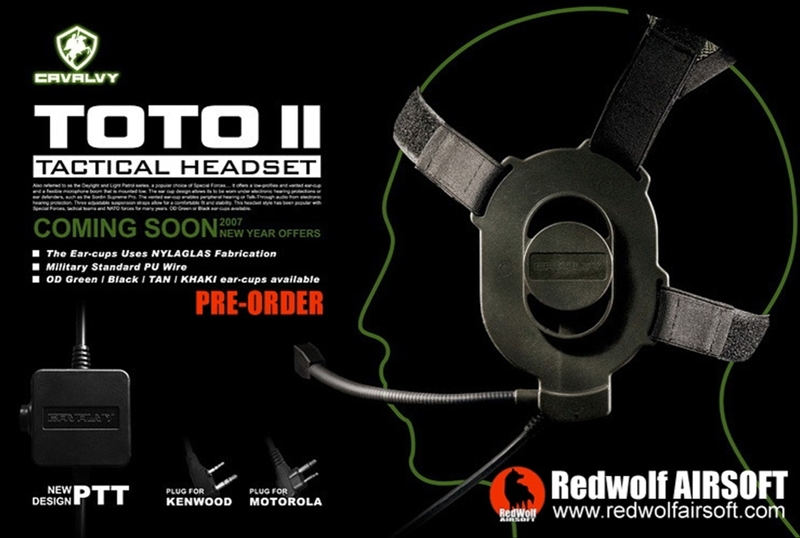 We tested the Toto II Tactical Headset, using a couple of IASUS radios, at the Redwolf Airsoft office and were pleased with the performance of the TOTO II. Despite being divided by 6 floors, we could still pick up crystal clear reception from both ends, thanks to the TOTO II/ IASUS combination. The audio quality you get from the headset is superb, and the output is just as good, with a microphone that picks up what the user is saying without picking up on too much ambient background noise. With the quality of the Cavalvy TOTO II Tactical Headset, it proves to be a truly worthy headset in its own right, and as a replica, it does the deeds too, following the aesthetical appearance and features of the original closely. 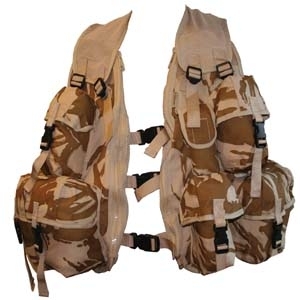 All this comes at a highly affordable price, making it an ideal solution for tactical situations in skirmishing, to communicate effectively with your team. 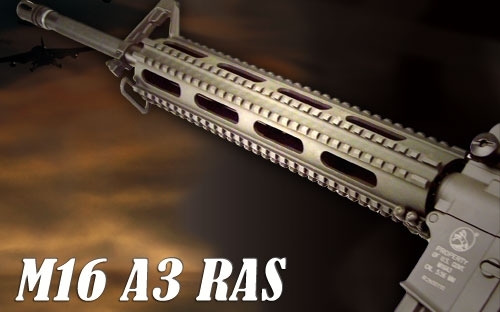 Available for Pre-Order now at Redwolf Airsoft ? place your Pre-Order to be the first to get your hands on one! Please click here to pre-order one now! Well, I am Alberto from Airsoft Zaragoza, in SPAIN, we are a group that has been u charge for two national events every year since our “social presentation” in January 05 with the first ever game held by “newcomers” as our way to be known and respected in the Airsoft world in Spain and it seems that we got it! :D.
Our anual games take place in Tardienta, in the Monegros Desert, what constitutes the only DESERT airsoft camp in Spain as long as we know and we could no avoid calling our events “Monegros desert Storm” after the “Desert Storm” operation held by the EEUU in the gulf. This time is the 5th event and constitutes the 3º aniversary from our social ryising and we keep on the fiction nation of “Monegria” with much natural resources and a bad neighbour, the Alana nation, that got to invade and control it´s resources after the 4th event, in wich a 3X3 fight was held and even this way the Alanian troops got to control al the territories even with some UN observers and a democratization force in place. One more time we are very happy to be able to count with players from all over Spain and of course invite foreign players to take a chance in our playground. As it is being our normal and sadistic rhythm, airsoft Zaragoza suggests a new Desert Storm for the winter season. This time the event Hill take place for 27 and 28 January, as always in the Tardienta air camp (Huesca). This is an airsoft convention which will count with some “tactical airsoft” as well as “tech airsoft” activities for all of you to enjoy. A new Monegros Desert Storm, located as the previous events in the same argument plot of our fiction Monegrian Republic. The plot continues were we left it last July, the Monegrian Republic fallen under the fist of the Alana’s invasion forces, after they took control on territories and infrastructures. The invaders are facing the Monegrian people’s effort to set their state free in a rude revolution attacking Alana forces in its own headquarters so as to push the invader back to their home. During Saturday 27 we will have a skirmish under this plot with no resting time starting at 11.00 Am and until 20.00 PM. – Insurance for each placer. – Saturday’s meal (military meal packages, to eat DURING play). – Saturday’s dinner, hot soup… when the night finishes the play and before night_based competitions. We will have a tent based night, but there are plenty of facilities in the village to get a soft and hot bed arranged if you desire that instead a “manly” experience with other players in the airfield. I thought I’d add a bit of text that Pablo posted in the VCR Bill section of the forums. There’s been a lot of questions lately about the bill, its affect and when it comes into play. My understanding so far is that under the proposed scheme (set to come into play for April 2007) sites are encouraged to register with the ABA, then when a player goes to buy equipment their registration is validated against a known list of players. The compulsory comencement dates set by government are 6th April and 1st October. The ABA have been told early spring so they assume the 6th april is the relevant date for us. The regulations must be distributed at least 21 days before that date, but as yet there is still no legal definition of a RIF (Realistic Imitation Firearm, as opposed to an IF). The ABA have a meeting with the Home Office next week. At present, the ABA need more support from sites. The UKASGB which represents sites is working with the ABA to establish a scheme whereby players must register with a site in order to join a national database of players. Retailers (represented by UKARA) can then check this database to ensure they sell to airsoft skirmishers (to whom the exemption applies) and that they are complying with the law. If your regular site doesn’t sign up to the scheme, you won’t be able to register and therefore you won’t be able to buy guns from 6th April. You can find the ABA website here, with the link to register to access their forums is hidden at the bottom of the page. We’d add more but as things stand news releases are few and just about all that’s relevant has been posted by Pablo at the top of the VCR forums. At the moment there are obviously quite a few questions that remain unanswered which include how EU/HK/Japan/USA imports will work, direct EU imports across the border, customs declarations, and who is going to keep control of the proposed registration scheme. If you want to ask relevant questions I’d recommend registering on the ABA site and asking them there. We’ll add anything that’s noteworthy that is sent our way. 2007 BlackHole Show Coverage – Arnie’s Exclusive! Arnie’s Airsoft is the 1st to bring you coverage of this years BlackHole Show, featuring new releases by Tokyo Marui, VFC, Best Gun and more this year I have taken some video footage for you all to experience all the new toys in more detail along with the usual high quality pictures. The full report can be found in the Readers Review section of the forums, or you can click the “read more..” link at the bottom of this post. Just to wet you appetite here is some footage of STAR’s new AW L96 Gas rifle! …well I hope you all enjoy it as much as I did! 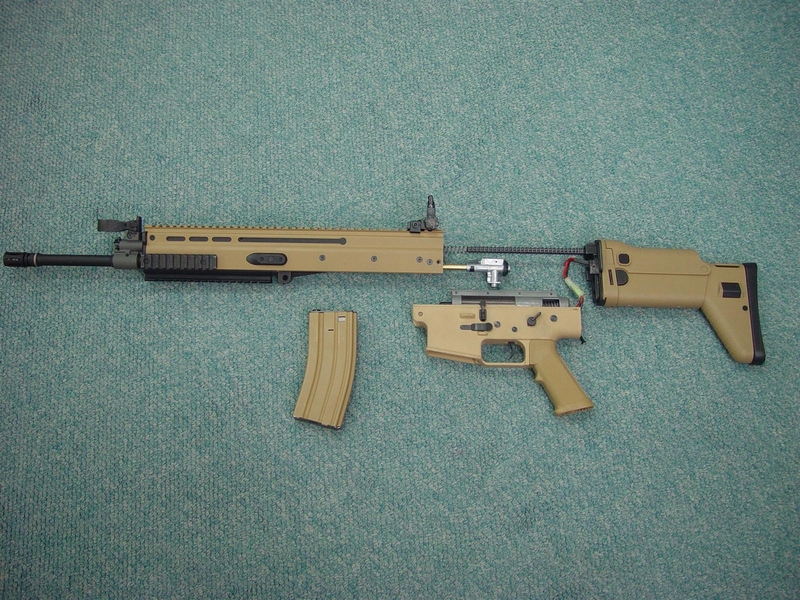 I’m very glad to announce to all airsoft friends an amazing new gun from CLASSIC ARMY, I’m talking about the SCAR. For all people that are in Hong Kong in these days I’m glad to announce that the SCAR will be displayed in the Classic Army Pro Shop starting from Monday, January 8th. 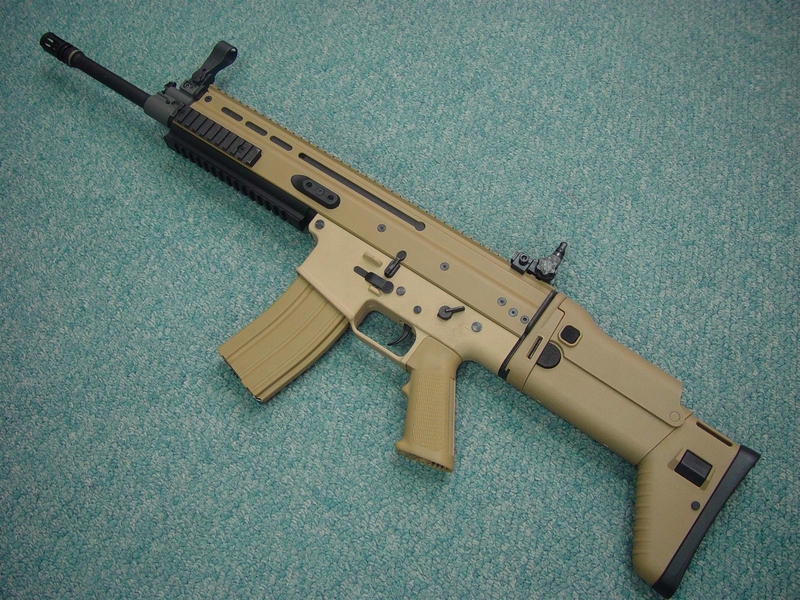 With this new model Classic Army confirms his commitment in innovation and its leadership being the first manufacturer worldwide releasing the SCAR. 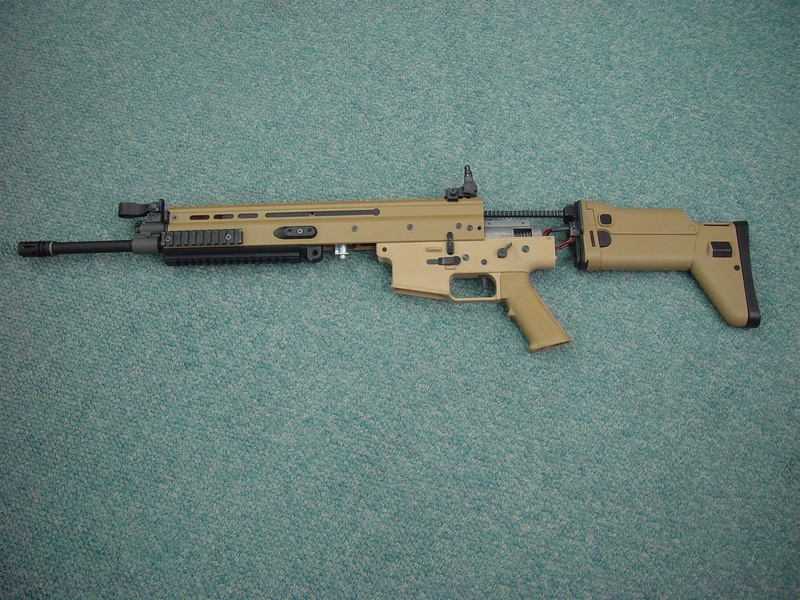 I attach some pictures of the new gun for all SCAR fans. Enjoy! Kent Wu over at Airsplat dropped us a line to update us about his new stock and Janurary offer. We now have the full line by GB. Up to this point, these are the highest quailty MPEG’s we’ve seen . You will not be dissapointed for the price! – GB MP5A4 / MP5A5 / MP5 SD5 / MP5 SD6 Airsoft Electric AEG Rifle ONLY $79.95 Deep Fire Grenades and Grenade Launcher will be here in 3 weeks! Happy New Year! 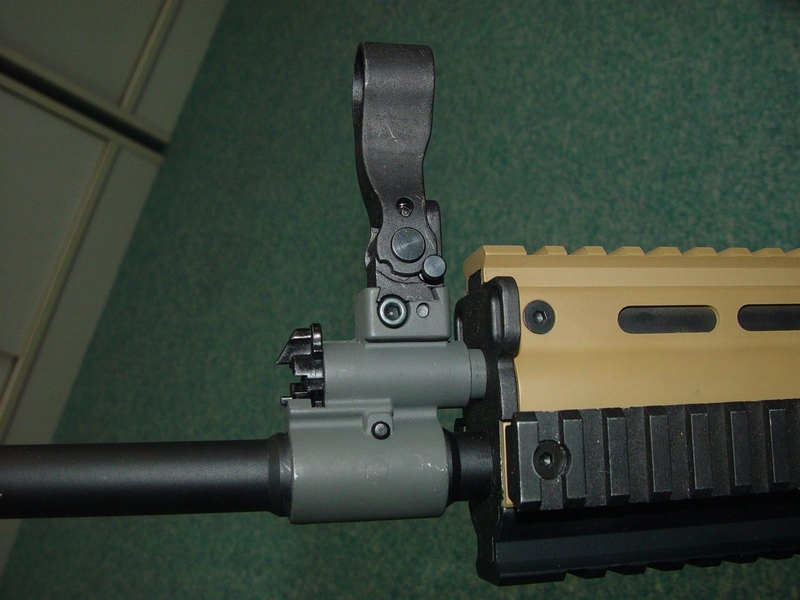 New RAS mount for AK, a 100% replica from real steel equivalent. 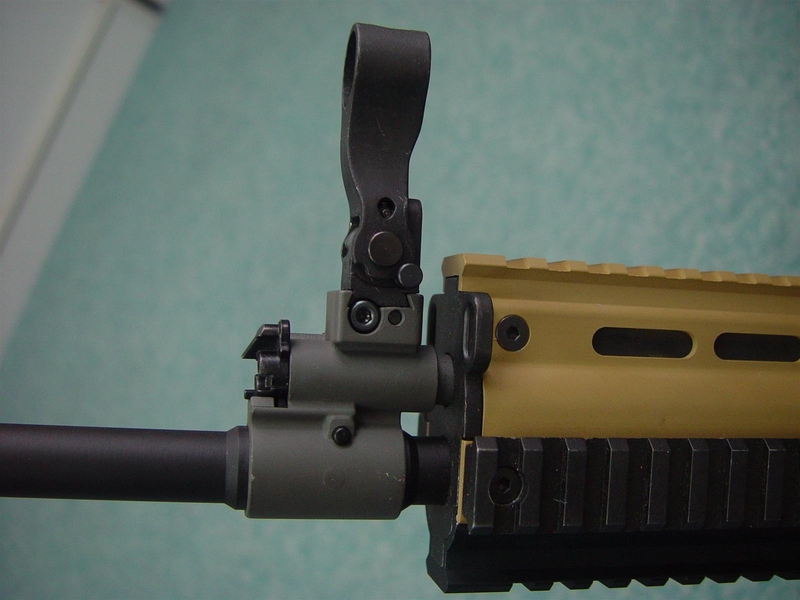 Allows the installation of various tactical accessories and at same time giving an aeg a more ferocious look. 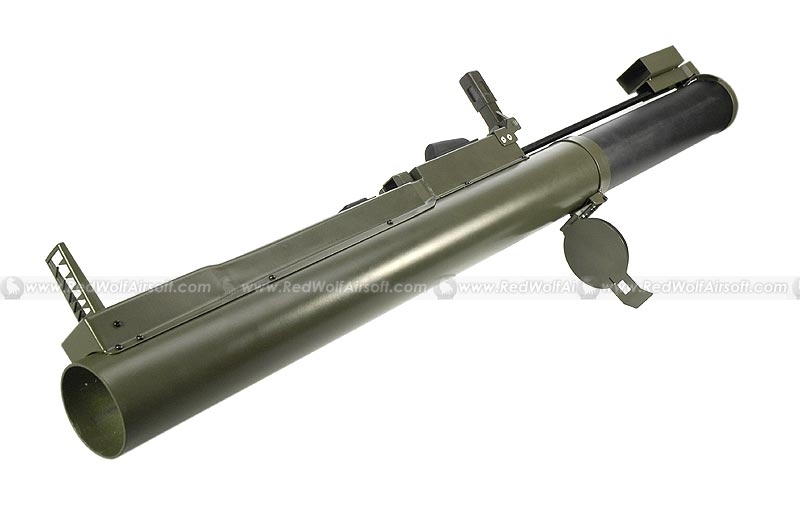 Deep Fire M72A2 (Metal) (PRE-ORDER) Generally thought of as a weapon of the Vietnam War era, although has found a new lease of life in the ongoing operations in Iraq, with the U.S. Army and in Afghanistan by the Canadian Army. 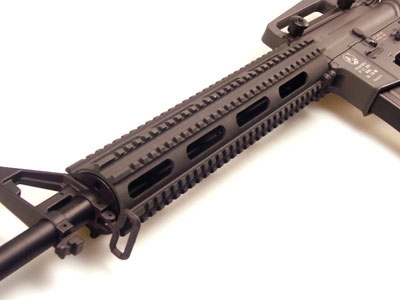 The low cost and relatively light weight make it ideal for the types of urban combat seen in these places. The M72 LAW was designed to replace the venerable bazooka as the primary anti-tank weapon after the Korean War. This portable one-shot 66mm anti-tank weapon was created by Talley Defense Systems, produced by Nammo Raufoss AS in Norway. The British Army used the Norwegian built version under the designation “Rocket 66mm HEAT L1A1, and is believed that the design of the Soviet RPG-18 is a direct copy. 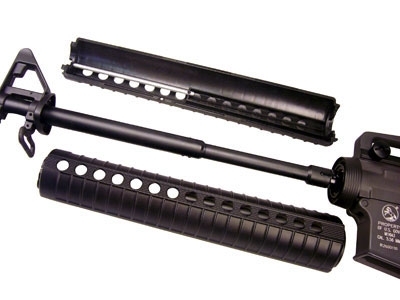 The Deep Fire M72A2 uses any standard M203 gas BB shower shell. We tested it with Deep Fire’s own M203 shell, Madbull shells, Mosquito Molds, and King Arms shells. All worked great in this launcher. And of course that means you can use HFC134a gas, TOP GAS, Green Gas, Red Gas, or even CO2 in this launcher depending on what your shell takes. 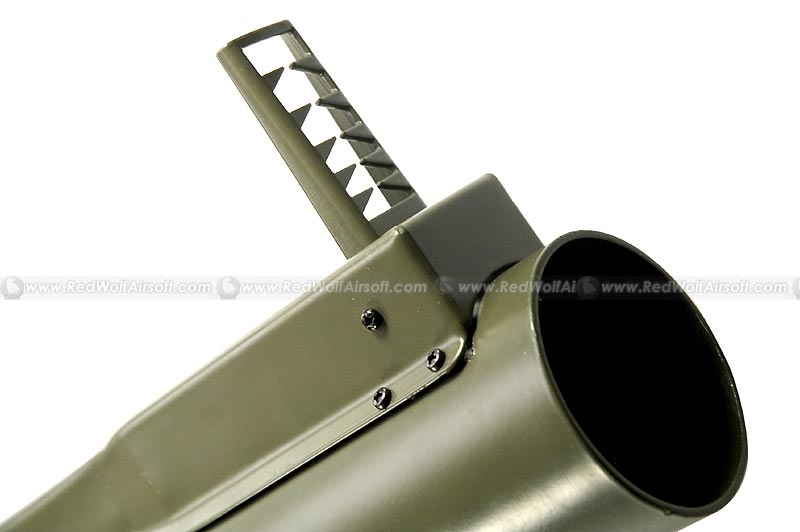 The shells are easily reloadable into the launcher through a center breech, accessible by opening the back of the launcher. 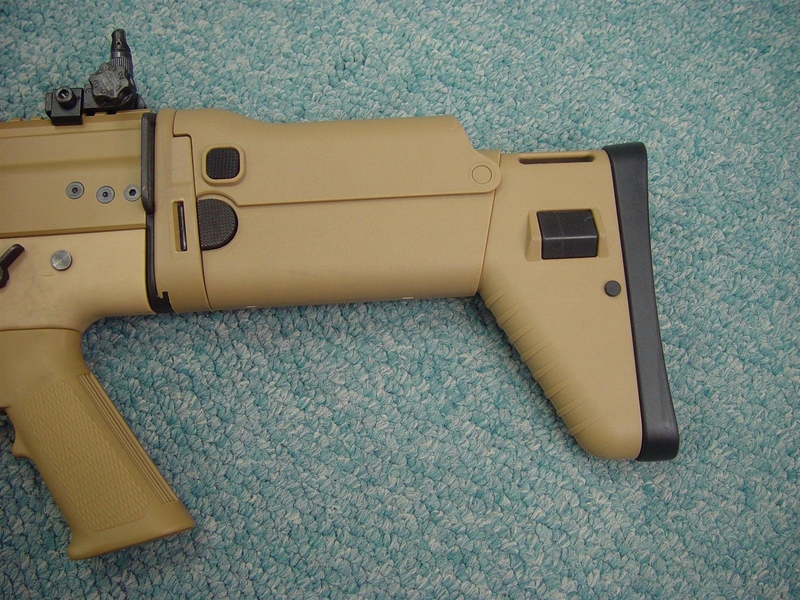 The launcher collapses and extends just like the real thing with flip up sights. The Team at Madbull has sent us in their mission statement and Roadmap for 2007, and from what they say it looks like a pretty exciting year for not only them but us! Thanks for your support in 2006. The Team here at MadBull will try our best to develop new and creative products for 2007! In 2006, I estimated that we spent almost 30% of our net profit on R&D and we do believe this is totally worth it. In 2007, we will invest more money on patent and licensing to prevent illegal copy from other followers while insuring you get the highest quality products on the market. Now, MadBull have more and more resources. We work very closed with biggest training school in the world, HSS International. As for MadBull, in early 2007, we will launch Popper Shot hand grenade with a retail price of less than $15. 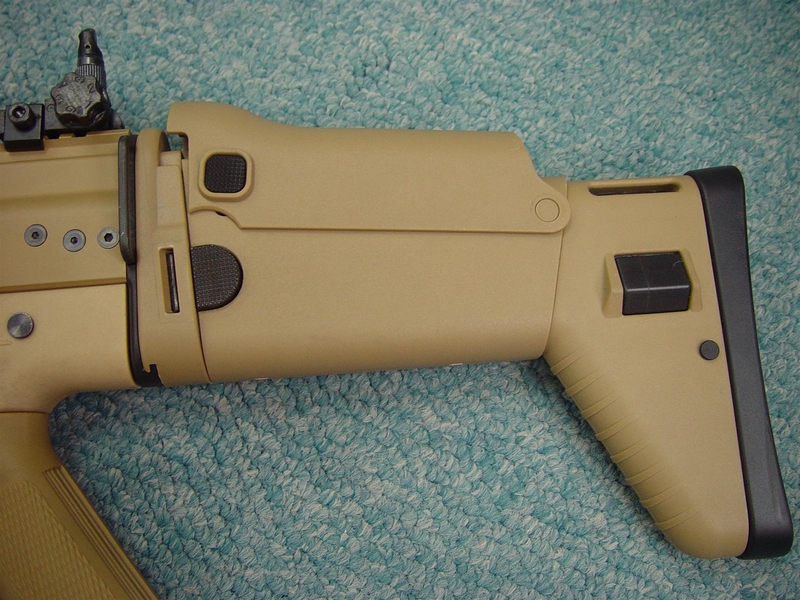 Later on, IPSC timers, IPSC M4 Metal Body, Noveske Metal Body, Noveske N4 Conversion kits, Gemtech Blackside and more! We will also help HSS to work with Asian Law Enforcement and Military personnel. In early 2007, Several Members of the L.E. from Asia will come to the US for Aircraft and Bus training closely followed by the Asian media, so you will read the article in magazines very soon. Members of the MadBull Team will also participate the Aircraft training and we will figure out what they need in the real world and develop it for them. 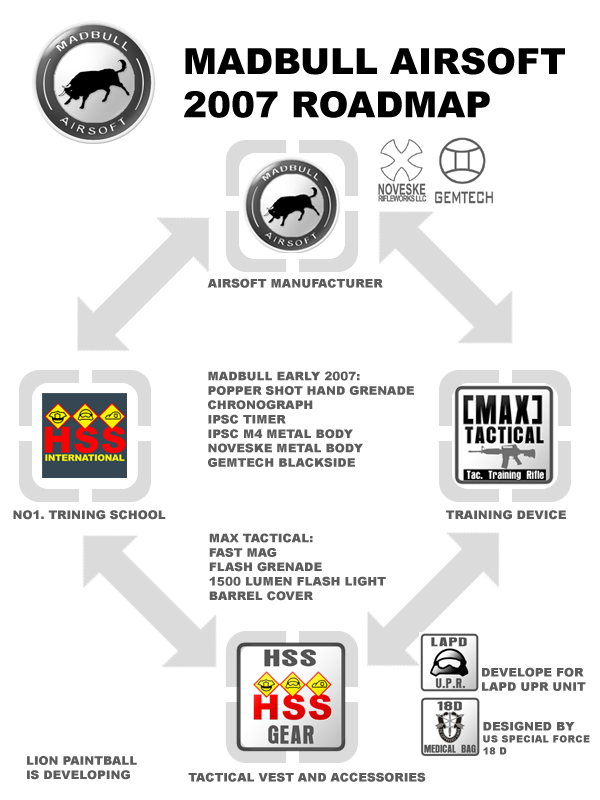 In 2007, MadBull also help HSS to develop Tactical Vest product lines: HSS Gear.You will see HSS Gear at the “Shot Show 2007” in FL. 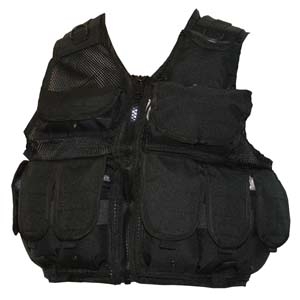 Highlander is pleased to announce that details of it’s new Tactical Vests are now available from the website. 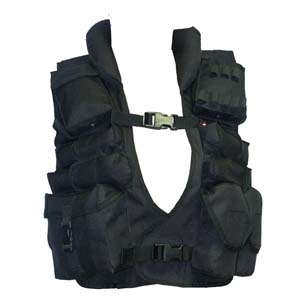 Consisting of a full range of vests, from operational vests with full military spec to more affordable Enforcement vests. All our vests are constructed to our usual high standards, with bar tacked stress points and heavy XTP material for added durability. 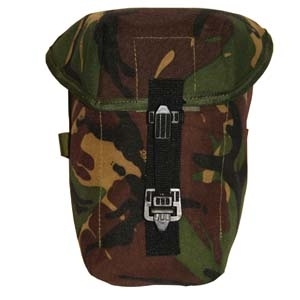 We also have a full range of military spec PLCE pouches that are fully compatible with current issue equipment. 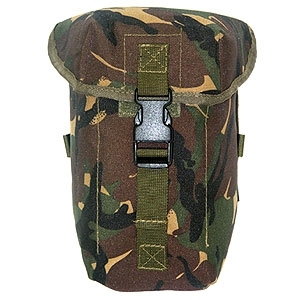 For the first time we have also included vests and pouches that use a one handed quick release system. reinserting the lock. All this can easily be done by touch and with a single hand. A massive improvement over traditional quick release or popper systems. Our full range is now in stores, so contact your local stockist for more information. Well its that time of year again and for those lucky enough to live in Japan you might want to get yourself down to The Black Hole Show. As usual the show will be held at the Tokyo metropolitan industrial trade center and runs from January 6th to the 7th. A long with all the usual booths selling all manner of Airsoft goodies there will be some major manufactures there to. Tokyo Marui as always will have a booth and I’m hoping to pick up some hot gossip straight from the horses mouth regarding their new releases for 2007. For those unable to attend in person, don’t worry I will be giving you a full run down or what’s hot for 2007 here in Japan with the usual wealth of high quality pictures, to keep you satisfied. Un Company has sent us in some news on the latest and greatest items that they are currently stocking. For this week we have searched for a lot of new items. I shall introduce them as follow. 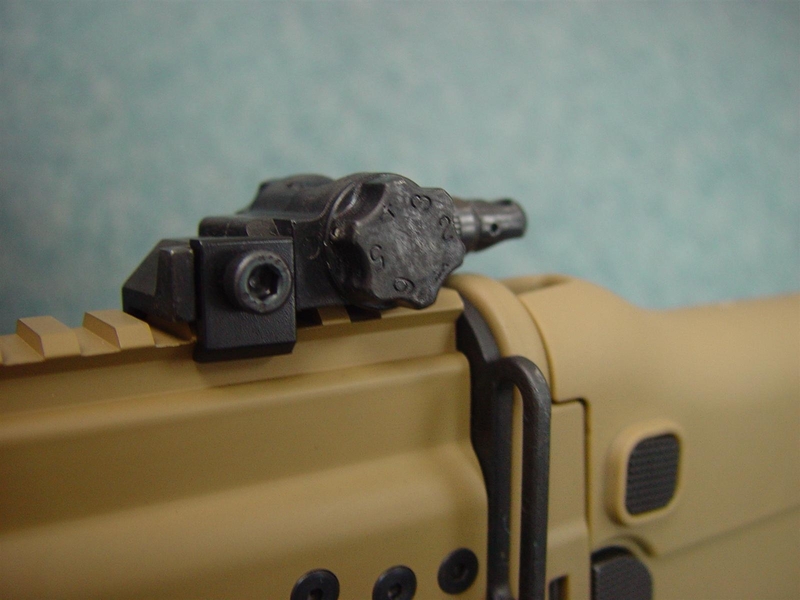 Guarder SP150 Infinite Torque-Up Kit for Marui AK47 Series. 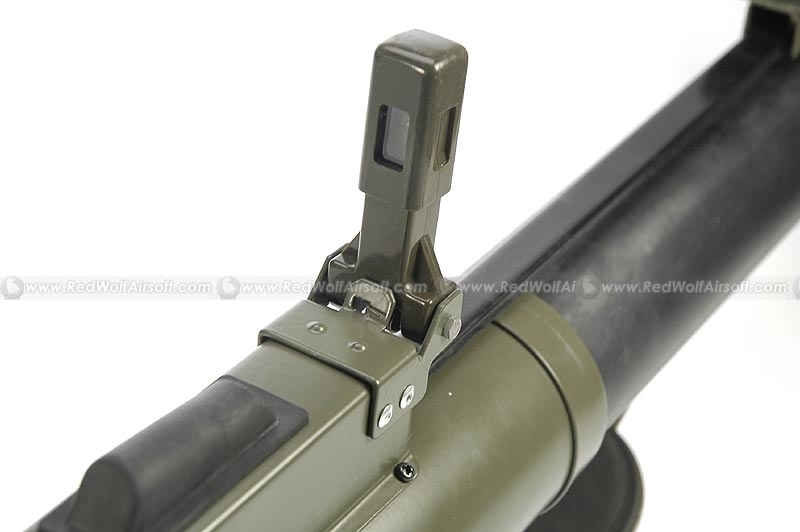 The Package includes SP150 Spring, Infinite Torque-Up Type Steel Gear, Bore-Up Lucid Chromium Plating Cylinder, Bore-Up Air Seal Nozzle, Bore-Up Stainless Cylinder Head, Bore-Up Ventilation Piston Head, Half-Teeth Polycarbonate Piston, 6mm Steel Bushing, Steel Anti-Reversal Latch, Steel Cut Off Lever, Ball Bearing Spring Guide, Enhanced Tappet Plate, Shim Set, Telfon Gear Oil. Besides, the material is made of S303 Stainless Steel/Brass/Polycarbonate/Acetal/Steel. For this, it only costs US$ 132. Western Arms Beretta M9A1 HW. It is available in Desert and OD colour. The material is built of ABS. 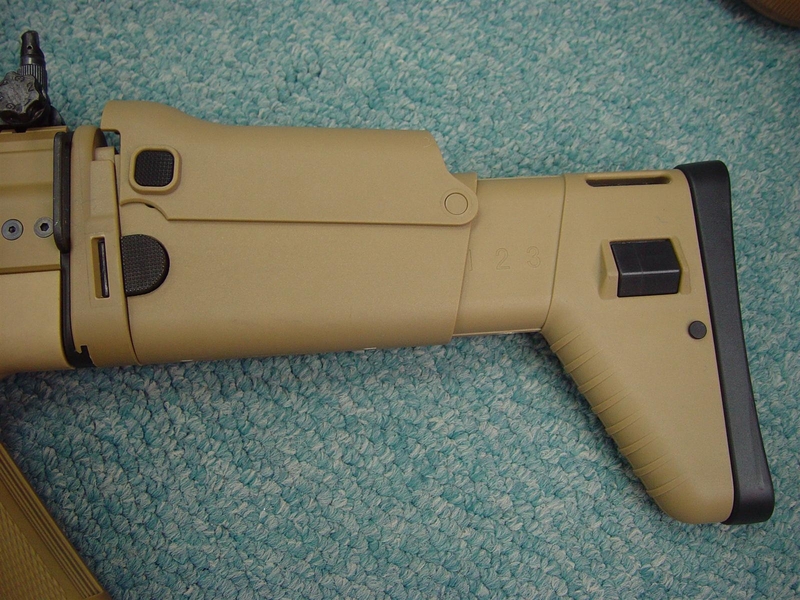 The Magazine Capacity is 25+1 Rounds. The Overall Length is 217mm. 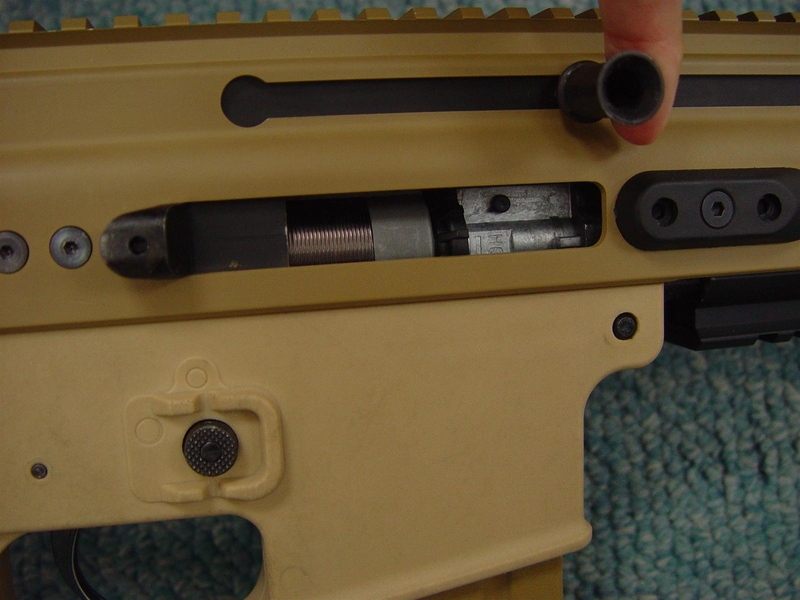 The Barrel is 6.03mm accuracy inner barrel. The System is Gas Blow Back, Hop Up and R-type Magazine. The Package includes a Gun, a Magazine and a Manual. Each only costs US$ 164. The Material is built of Metal Slide and ABS Lower Frame. 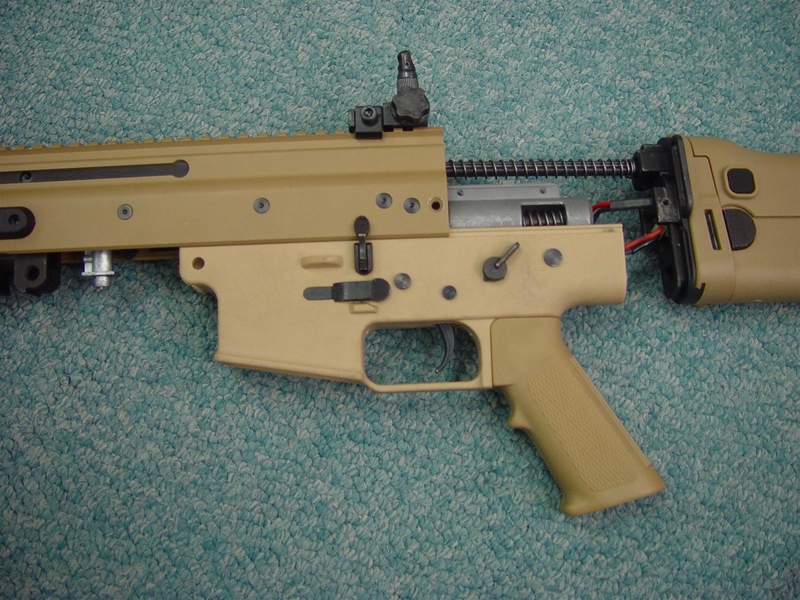 The Magazine Capacity is 14+1 Rounds with 6mm Bullet. 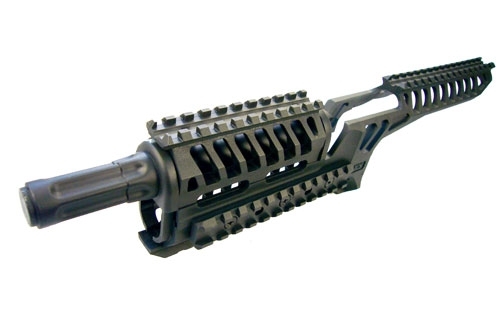 The Overall Length is 221mm. The System is Gas Blow Back and Hop Up. 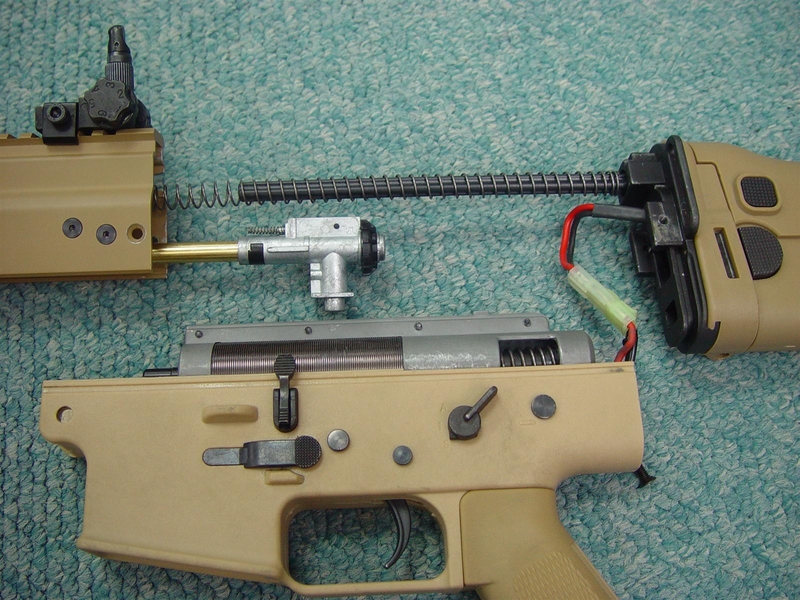 The Package includes a Gun, a Magazine and a Manual. This only costs US$ 124. It is available in OD and Tan Colour. Each only costs US$ 62. News in from Paul at Actionhobbys.co.uk is that they have decided to cut the middleman and go direct to the source. Read below for Paul’s full announcement and their 2007 lineup.